When you become a Member of Nascentia Health Options, you’ll have access to our care transitions services. Nascentia Health Options offers a healthcare plan for Medicaid beneficiaries living throughout New York State. Healthcare needs can change and sometimes it requires a transition from one level of care to another. In these cases, it’s important to understand what you need to do to effectively move from one level of care to another. With Nascentia Health Options, these transitions in level of care are simplified, because we’ll work with you, your family, your physicians, and the hospital to ensure that you’re receiving the proper care for your illness or condition. Our goal is to reduce patient readmissions into the hospital, all while providing the optimal level of home care services in across New York State. As part of your managed long-term care (MLTC) plan, we coordinate communication between providers, follow up frequently with families, and help you obtain appropriate services. 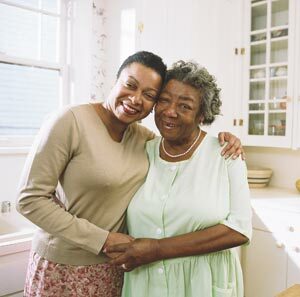 These care transitions services are offered as part of our managed long-term care plan, which includes in-home and long-term healthcare for our Members. Find out if you are eligible to join and become a Member.